A man leaves the Flag Hotel, 62 Great Moor Street, at closing time. 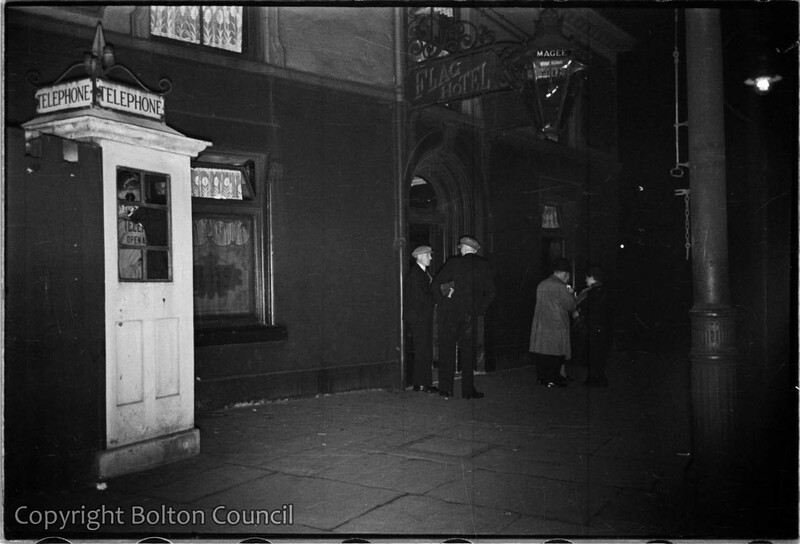 This sequence of three photographs are the only times that Humphrey Spender used flash whilst photographing in Bolton. Artist Graham Bell also made drawings of the pub’s exterior. His sketchbook is in the collection of Bolton Museum. The Flag Hotel closed in November 1970 and was demolished 3 months later.